While the new analysis reveals a slight expansion of range in certain areas – thanks to some successful conservation efforts by The Wildlife Trust of South and West Wales, Natural Resources Wales and others in Wales, for example – the full data covering the whole ten years paints a bleak picture. Water voles are a much-loved British mammal which used to be regularly seen and heard along every ditch, stream and river in the UK. A creature which burrows in banks and feeds on reeds and grass, the water vole was a lead character – known as ‘Ratty’ – in Kenneth Grahame’s children’s classic Wind in the Willows. Huge conservation efforts have been made to ensure a future for this charismatic mammal. In Wales, The Wildlife Trusts and Natural Resources Wales are increasingly focussing survey and conservation efforts in our upland areas, where water voles have managed to persist relatively unnoticed in marshy grasslands and other wet habitats. Work is also continuing with habitat restoration, and reintroductions of this species across the UK by the Wildlife Trusts and many partner organisations. At a local level, these projects appear to have been highly successful, however, these successes are not big enough to reverse the national distribution trends. Habitat loss, and fragmentation due to agricultural intensification and massive building development have led to declines in the voles since the 1960s; exacerbated by predation by North American mink. The water vole is the UK’s most rapidly declining mammal and has been lost from 94% of places where they were once prevalent. * The latest data revealing a ten year decline of 30% shows an ever-worsening situation: their range is continuing to contract. • Government and Local Authorities to use their legislative and policy levers to protect, connect and create areas of natural habitat to help wildlife move through the landscape, benefitting not just water voles but a range of other wildlife. • People to volunteer as water vole surveyors with their local Wildlife Trust and/or donate to charities to help support water vole recovery work. The Wildlife Trusts are at the forefront of reintroducing water voles and caring for the wild places that they need to survive. 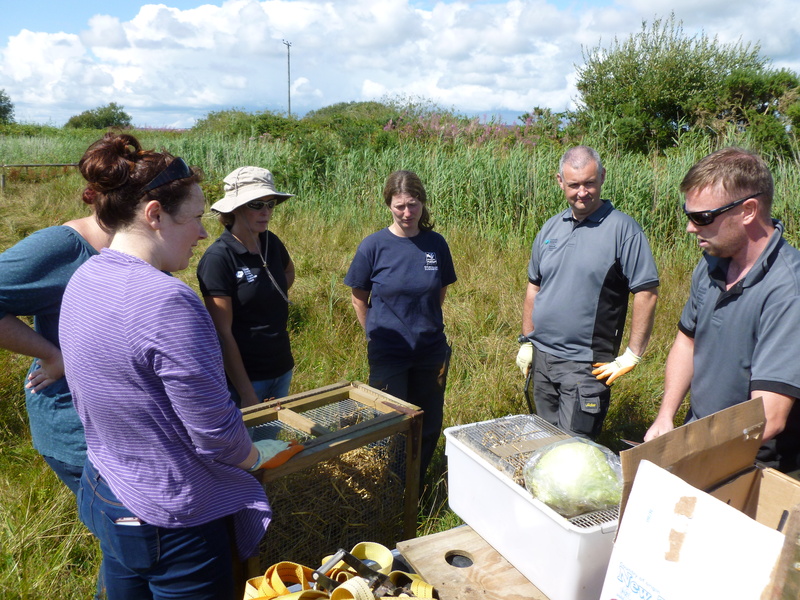 In 2014 and 2015, The Wildlife Trust of South and West Wales worked in partnership with Natural Resources Wales to reintroduce around 400 water voles bred from Carmarthenshire stock to Ffrwd Farm Mire, a Wildlife Trust reedbed nature reserve in Pembrey. Following on from several years work by NRW and the Trust to make the site and surrounding landscape as suitable for water voles as possible, this successful partnership continues and water voles on the reserve and in the surrounding areas are thriving.